The steel sheet is 0.3mm thick, shaven to create a smooth flat artwork. 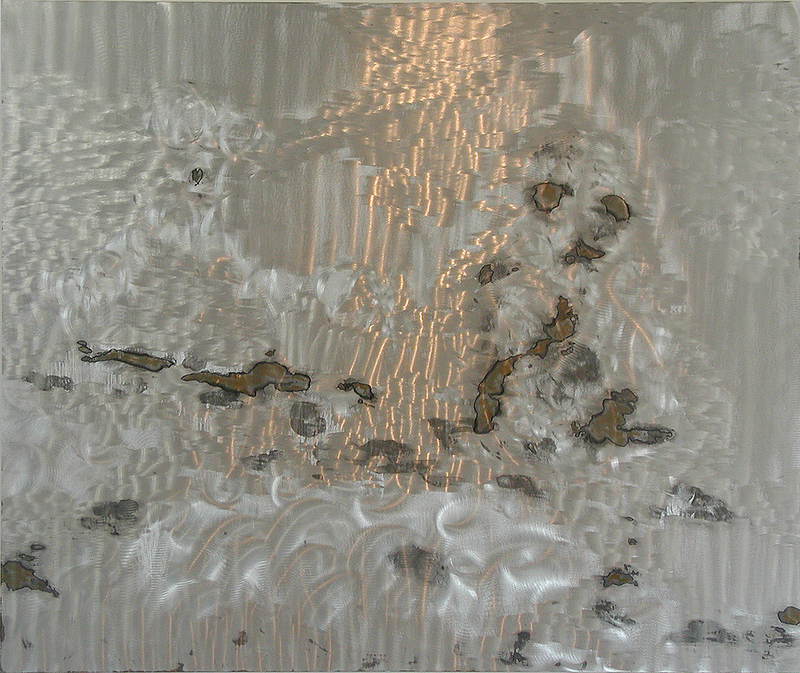 The metallic areas express the virtual images seen through the human eyes. The brown areas are created by allowing the steel sheet to corrode, expressing the actual images and the timelines. People are susceptible to be dazzled by virtual images. We thus often overlook the essence of what we see, continuously dialoguing with the ever-present reality. I hope my work intrigues you to wonder about the space between the two sides（Tojo Shinnosuke）.